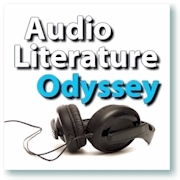 Please note that all short stories and poems are located in the main podcast feed. Longer works, such as Persuasion, Lancelot, and The Turn of the Screw, each have their own dedicated feeds. To view a list of all the available works, visit the Audio Books page. View a list of all the audio books available. To open a feed in your browser, click on the XML file links. You can subscribe to the feed, or pick and choose which items interest you. Generally, you will right mouse click on the displayed MP3 files to download to your computer. Click on File in the menu bar. Paste the URL for the podcast feed into the box (http://podcast.nikolledoolin.com/audlitod/audiolitod.xml). iTunes will download the podcast if you are connected to the internet.